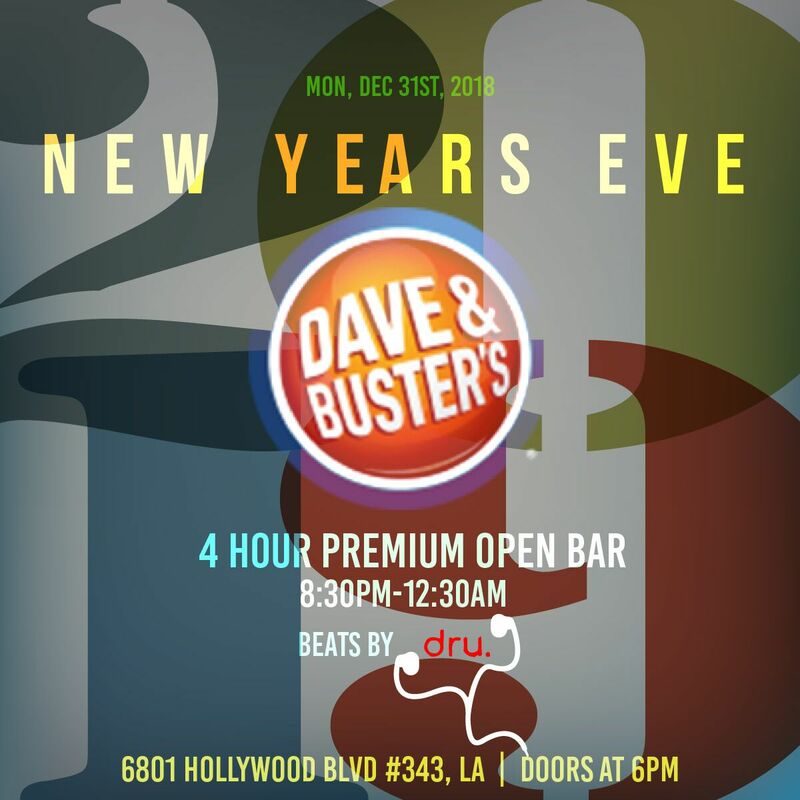 Toast to the New Year Hollywood style at Dave & Buster’s, LA’s hottest entertainment venue for all ages. Get your party on while enjoying fun drinks and arcade-style video games. Whether you’re at the bar or sinking goals at the air hockey table, an NYE celebration at Dave & Buster’s is predestined to be extraordinary. Want to spend this New Year’s Eve with your family? No problem, bring everyone with you to Hollywood’s most renowned family-inclusive party. Unleash your competitive side while enjoying the five-hour premium open bar. Dance the night away to the hottest top 40, hip hop, mashups, and house spun by a live DJ. The venue’s complimentary food, industrial chic ceilings, color-changing bar backdrop, endless rows of video games, and casino-style floors makes for the perfect place to release the inner gamer in you. Enjoy Dance Dance Revolution, racing virtual cars, and dozens of in-store simulation games. Looking to throw it back a few years? Check out the classics like Pop-A-Shot, Pac-Man, and Skee-Ball. This NYE put your gaming skills to the test with your cohorts of choice. Get the full VIP experience with one of the Dave & Buster’s VIP packages.